In documenting my journey as a re-emerging student affairs professional throughout my final year of graduate school, I’m going to truthfully share where I’m at while approaching the end of winter break. I’m beginning to feel some anxiety, impatience, and bit of scatterbrained focus on multiple things in the final semester. My mind seems to be flitting between thinking about the entire job search, reconnecting and relying on professional relationships, looking forward to changes in my personal life, and oh yeah – making the most of my final semester in grad school while fulfilling academic and work obligations in a meaningful way! Just a light load of things to consider, really, and consequently self-care is becoming increasingly important. It’s been difficult to completely relax over the break, and I’m beginning to think about how my self-care will be impacted in the next several months. My program lightens our practicum internship requirements and coursework to some extent in the final semester, which allows us to focus on job searching and preparing for the next steps. An added benefit of this spring schedule will allow me to spend less time on campus and put more focus on taking care of myself in in the following ways. My physical health has taken a backseat through the busy time of fall semester. Physical activity was essentially nonexistent, unless you count walking on campus, and it has certainly manifested in visible and invisible ways. I’m looking forward to incorporating activity and gym time into my schedule again. This means blocking time on my work calendar to hit the campus gym, taking time on the weekends to get outside for a hike or walk, and trying to stay active at home even if I’m snowed in during winter in the delightful northeast. I hope to continue my routine of grocery shopping and meal-prepping for each week as well. This will ensure that I’m making the most of my financial resources and nourishing myself in a thoughtful (and less stressful) way during the busy weeks. I realized throughout winter break that a relaxing activity that doesn’t take much focus, such as coloring or playing card games, still left my mind coming back to school, career, or life-related stressors. That is definitely not the point of my down time! I’m going to focus on self-care activities this spring semester that engage my mind more. Reading fiction, putting together puzzles, and crocheting projects while counting stitches seem to keep my mind more occupied on the task at hand. I also hope to spend more time disconnected from my devices, which is probably a pretty common goal! Sometimes downtime can look like scrolling Pinterest or other social media apps, but I know that I’m not as relaxed when using that as a quasi self-care activity. As I reflect on many of the student affairs field and work-related accounts, pages, and people that I stay connected with on my personal social media, I also recognize that it is much more difficult to disconnect from work when all my feeds show student affairs-related content. Taking care of my mind does involve taking breaks from my work and truly disconnecting at some points from the field. Taking care of my soul. As someone who identifies as agnostic, taking care of my soul is important but sometimes requires more creativity. I center myself in the outdoors and nature, and that is certainly difficult during the winter months in Connecticut. In alignment with taking care of my body, spending time outdoors on walks or hikes (even in the cold) will also help feed my soul. I have practiced yoga on and off, but plan to rediscover my practice for quiet, reflective, and meditative time for myself. Finally, my personal relationships are continuing to be a priority in my life. Spending virtual and physical time with my partner, staying connected with my family, and visiting friends around the east coast will be a priority in the spring. Graduate school has been a wonderful source of great relationships, but I know that some of my strongest bonds that bring me back to who I am come from the family and friends who are not physically with me at the moment. I will continue recognizing their importance and prioritizing them as I prepare for the next steps in life. Now that I’ve shared my plan for taking care of myself in the coming months, does anything resonate with you? 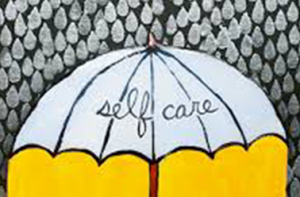 Do you have any self-care practices that you want to share with the wider #SAChat and #SASelfCare communities? Comment below or tag me on Twitter @notvery_meek using the hashtags above! This post is part of the Emerging SA Pro series following three awesome people: Michelle, Sara, and Thalia. Join us as they blog monthly about a year in their journey as a new SA Pro or SA grad. We are proud to help them share their stories. Michelle is a second-year student in the Higher Education and Student Affairs MA program at the University of Connecticut with experiences in academic affairs, student services, alumni relations, and community engagement. A proud Buckeye born and raised, she received her undergraduate degree in business and marketing from The Ohio State University and worked for their College of Dentistry Office of Student Affairs before becoming a UConn Husky. Follow along as she continues to blog about her journey as a (re)emerging #SAPro on the Student Affairs Collective Emerging SAPro series! 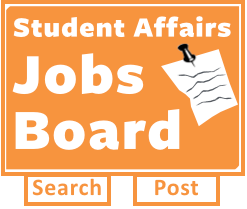 Look for new posts at the beginning of each month as she documents her experiences throughout the final year of grad school and into the job search for professional positions in Florida. Find her on https://twitter.com/notvery_meek and https://www.linkedin.com/in/michelleemeek/.